Its getting to the point that its a challenge to see whats REALLY going on, yet perhaps its simply like anything else, which is only what I MAKE IT BE! What I do know is that it is evidence of change and a shift in attitudes and procedure or perhaps a symbolic gesture which represents change. The image above is of the recent meeting between heads of state in the Americas and Caribbean at the time where Hugo Chavez offers a gift to the new U.S. President Barack Obama. 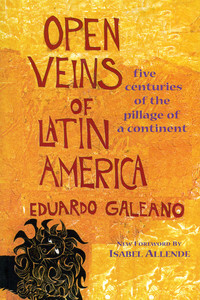 Open Veins of Latin America, written by Eduardo Galeano. It is a work which describes the stance of leftists leaders in Latin America about regarding Imperialism from U.S. and European power bases. “Open Veins of Latin America” recounts, as its subtitle says, “Five Centuries of the Pillage of a Continent” — the harvesting of the region’s cotton, rubber, coffee, fruit and other resources by U.S. and European powers. It argues, from a Marxist viewpoint, that such exploitation is the root cause of Latin American poverty. Like I said earlier, I cant say for certain what this gesture represents, and will simply do my part in reporting and recording the events. Once the news of this event hit the internet and other media outlets, the book became the Amazon #2 ranking seller overnight. Reading is fundamental, and I am glad to observe that there is still a demand for intellectual discourse of this nature. 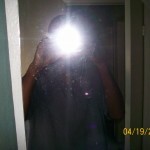 @ The Beginning Of The Tunnel.